It’s an equation that adds up – an adaptable and talented workforce equals a sustainable and successful economy. 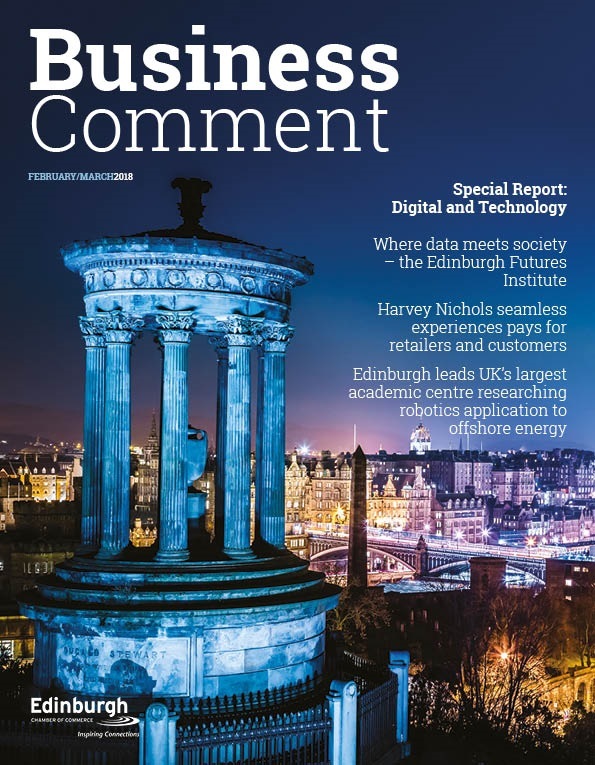 The world-class quality of Edinburgh’s workforce – perhaps talent-pool would be a better description – is certainly often cited as a driving force behind the strong economic performance of our city. 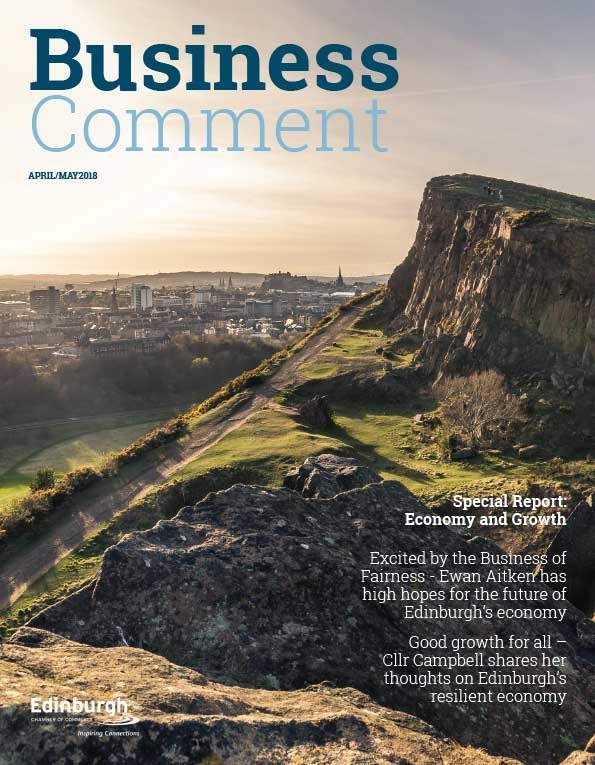 And ensuring we maintain that high level of skills is a subject close to the heart of Edinburgh Chamber. We have developed and deliver a comprehensive range of programmes designed to foster, develop and progress talent – and we work with a range of experts to deliver programmes to city businesses every year. Our training and development programmes are highly regarded. In addition, our Partners In Enterprise include a number of organisations who specialise and excel in this area, such as Edinburgh College, Queen Margaret University and Edinburgh Napier University. The city’s Universities are, clearly, the major force behind creating our city’s talent pool. There are more than 89,000 students at the city’s universities and colleges, with more than 40% of University undergraduates studying science, engineering or health. Wider afield, across Scotland’s central belt 270,000 students are in Higher or Further Education. Perhaps it shouldn’t be a surprise to learn that Edinburgh’s workforce is one of the best qualified in the UK, with more than 45% holding a degree or professional qualification – compared to the UK average of 28.5%. And that academic richness transfers from the world-class research base through a track record in commercialisation and technology transfer – creating the kind of knowledge economy that Governments around the world are aspiring to. Nearly half of Edinburgh’s working population is employed in knowledge intensive jobs including information technology and communications, life sciences, science and engineering, the creative industries and finance. But what does that mean? Well, it means we have a productive workforce, with Gross Value Added per head of £34,562 – one of the highest in the UK and indeed in Europe. 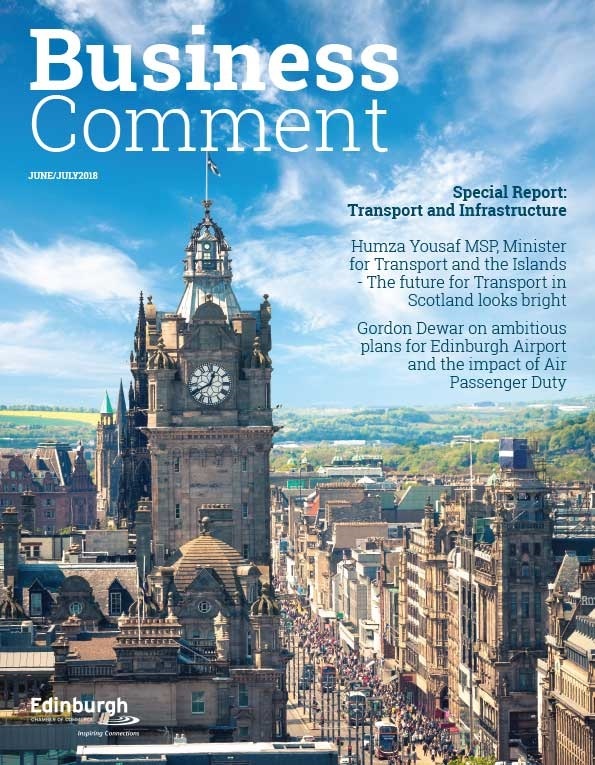 And that, allied to our unrivalled and regularly award-winning quality of life in Edinburgh makes us a very attractive place for businesses to invest. And for our citizens, that means jobs and prosperity. All well and good for us and our city at this moment in time, but the question can be asked does having such a highly skilled and qualified workforce future-proof our economy? Is it sustainable. Of course, it would be the height of complacency to make such an assumption, and to blind ourselves to the realisation that other countries and other cities also realise the essential part that a talented, skilled workforce plays in creating and sustaining economic success. But there is no escaping the fact that in already possessing such a talent-pool and the institutions that creates it, Edinburgh does enjoy advantages. Research has consistently shown that those markets with the most adaptable talent are more efficient and productive. It is because business that are growing worry about skill shortages, and so look to the areas where talent is available – this ensures they have the right people in the right jobs and actually helps reduce recruitment costs. So where does the Chamber fit into the drive to ensure we maintain our advantage? As I said, the Chamber is a well-regarded provider of training for businesses, and we have seen significant growth of more than 30% in our training programmes. This has been driven by the high demand for our unique variety of courses and significant repeat business from members. New developments include increasing our number of specialist training associates to cope with this growth in demand ensuring consistent high quality delivery, and a new range of courses in a variety of topics. In addition, the Chamber has seen a successful year in terms of its business mentoring programme, with over 150 businesses matched with mentors.